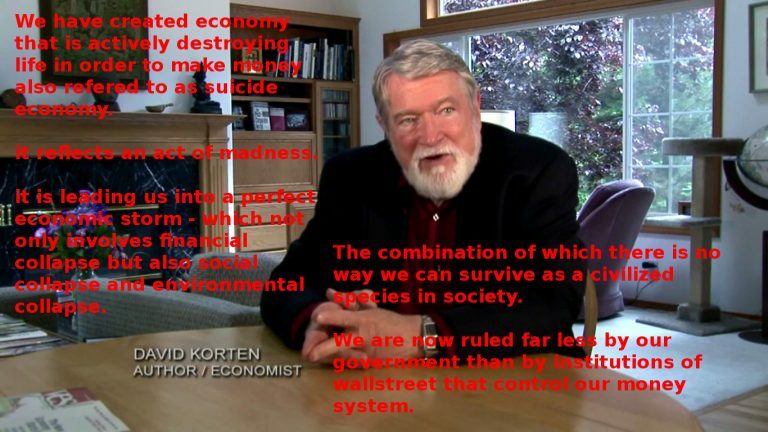 David Korten was born in Longview, Washington, in 1937 and is a 1955 graduate of its R. A. Long High School. He received a master of business administration and Ph.D. from the Stanford University Graduate School of Business. 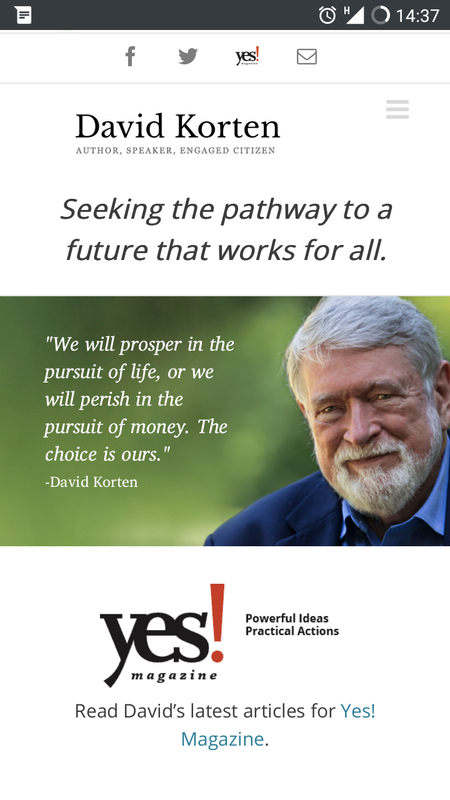 He said: “My early career [after leaving Stanford in 1959] was devoted to setting up business schools in low-income countries—starting with Ethiopia”. He served during the Vietnam War as a captain in the United States Air Force, undertaking U.S.-based teaching and organizational duties; and for five and a half years was a visiting professor in the Harvard Business School.